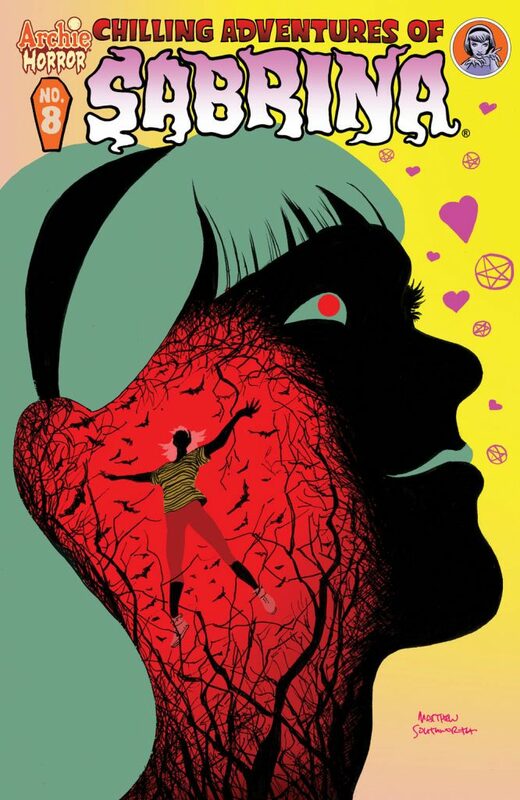 The Witch-War takes over the skies of Greendale in CHILLING ADVENTURES OF SABRINA #8! The WITCH-WAR gets underway on August 23rd in CHILLING ADVENTURES OF SABRINA #8 as Sabrina’s father, Edward Spellman, enacts his dark agenda! Sabrina has brought her boyfriend Harvey Kinkle back from the dead…or so she thinks. In fact, it is her father Edward Spellman who has cheated death and now inhabits Harvey’s body. While Sabrina plots a romantic reunion, Edward endeavors to keep his identity from his daughter, but to what end? What is his dark plan? Meanwhile, Sabrina’s aunts Hilda and Zelda have learned about “Harvey’s” resurrection and will stop at nothing to see him back in the grave, including summoning the dread…PSYCHOPOMPS!! Round One of the WITCH-WAR starts here!! 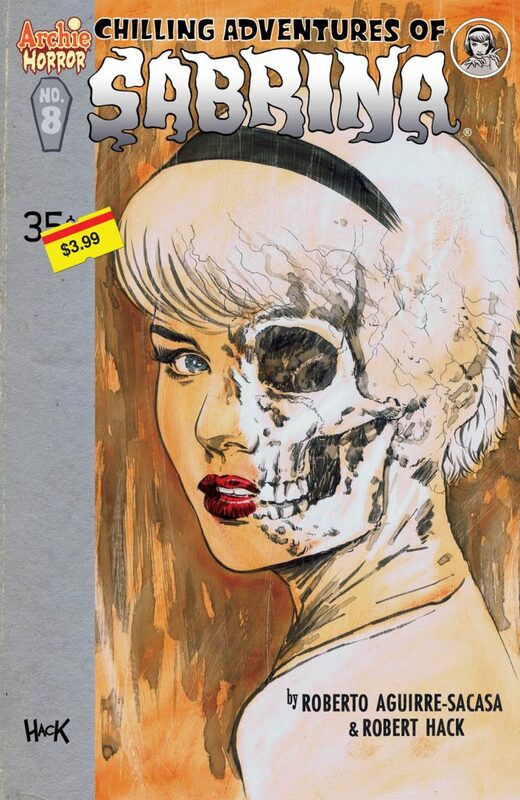 Harvey Award-winning writer Roberto Aguirre-Sacasa (RIVERDALE, AFTERLIFE WITH ARCHIE) and artist Robert Hack (Doctor Who, The X-Files) bring this dark re-imagining of Sabrina the Teenage Witch’s occult origin to spine-tingling life in the eighth issue of CHILLING ADVENTURES OF SABRINA!